Hello Everyone And All Glo Subscribers, Here Is Just A Simple And Easiest Method You Can Simply Enjoy The Glo Night Plan.Glo Night Plan Works On All Android,Smartphone,or Tablet And Pc. The new Glo night plan bundle is affordable and cheap, it goes for N200 for 1GB and it valid for a single night in the hours of 12am-5am. Well, MTN and Airtel, still seems to have the cheapest night plans data bundles,N25 for 500MB. 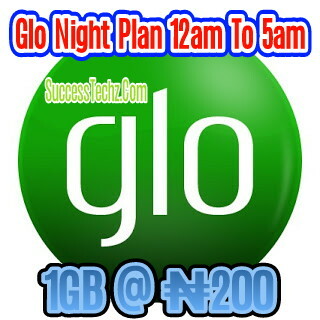 Anyway, the Glo night plan data is still okay, at least for users that want to download larger files. I still prefer and use the Airtel 500mb for 25.